Book your next birthday party with us! Happy birthdays are good for your health, and the happiest birthdays happen at Mayfair! Mayfair party packages celebrate the child and liberate the parent…you leave the cooking, cleaning and decorating all to us while you watch the fun unfold. Please see party upgrades for pricing on party keepsakes, decorations and food platters. 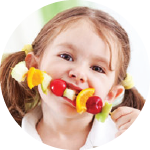 Mayfair party packages celebrate the child and liberate the parent…you leave the cooking and cleaning all to us while you watch the fun unfold. Create your own custom sports party by choosing three sports that the birthday boy or girl wants to play! Basketball, soccer, floor hockey and tag games are just some of the options. Games last approximately 15 minutes each, with a quick warm-up at the beginning and water breaks between games. Pamper the birthday girl and her friends with a glamorous day of mini manicures, including; filing, shaping and polish application by a professional Mayfair esthetician. Our party program leaders have designed an exquisite party room that’s sure to delight your little one. Come dressed up in your royal costume and prepare for a party that includes nail painting and a fancy tea party with cookies. Guaranteed to be an unforgettable experience! Leave everything to our motivating and energetic Tennis Pros. 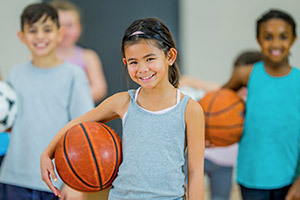 Not only will they organize the day’s activities, but they’ll make sure you have a ball with plenty of fun filled games, creative drills and a ton of court activities. Grab a racquet and your friends and take to the court with our Squash Pro for a great time. Kids will have fun as they learn the game and swing their way through a fantastic day! Kids will have an hour of fun recreational swim time in our salt-water pool. A certified Mayfair Lifeguard will be on duty to make sure that everyone has a safe and enjoyable time. *All children will take a swim test prior to entering the water. Those unable to swim must be accompanied by parent/guardian in the water at all times (two children per adult maximum). Mayfair will provide Noodles, Lifejackets and Watertoys. Today, your child and their friends will be the chefs! Our Kidspace staff will make sure everyone has fun as they cook and bake… then it’s time to enjoy the yummy food! Build your own birthday party! Our Kidspace staff will help to program and supervise fun activities and events to make sure that everyone has a great time and takes part in all the birthday fun. Have a movie party where your child is the star! You pick the movie and we supply the popcorn and fun! Ask us about our Kid’s Menu and Party Upgrades! With a delicious kids menu and flexible package options, we’ve got everything your party needs to put it over the top. That means less work for you and more fun for the kids. Included in the pricing: 2 hours of supervised and organized fun (second hour is in Kidspace). Please Note: Feel free to bring your own Birthday cake. We only ask that you don’t bring any outside food or beverages while on the premises. Enjoy our fitness facilities while your kids are safe and happy in our Mayfair Kidspace. 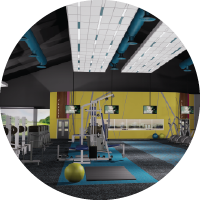 Come inside Mayfair and meet our pros, see our facilities and learn about some of our special amenities. 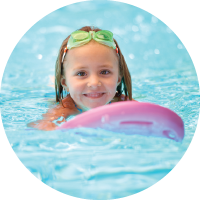 Mayfair Clubs offer year-round swimming lessons.